The best love stories fit to stream this Valentine's Day season. Love is in the air. Take a deep breath; can you smell it? It smells like fake flowers and oil—gross. Valentine’s Day is a dumb holiday all around (just take someone on a nice date regardless of the occasion! ), but you can spice things up this year, single or in a relationship, with the best post-dinner Netflix pick you can find. We’ll have you fixed up, love bird, and we ain’t even asking you to grab the check. 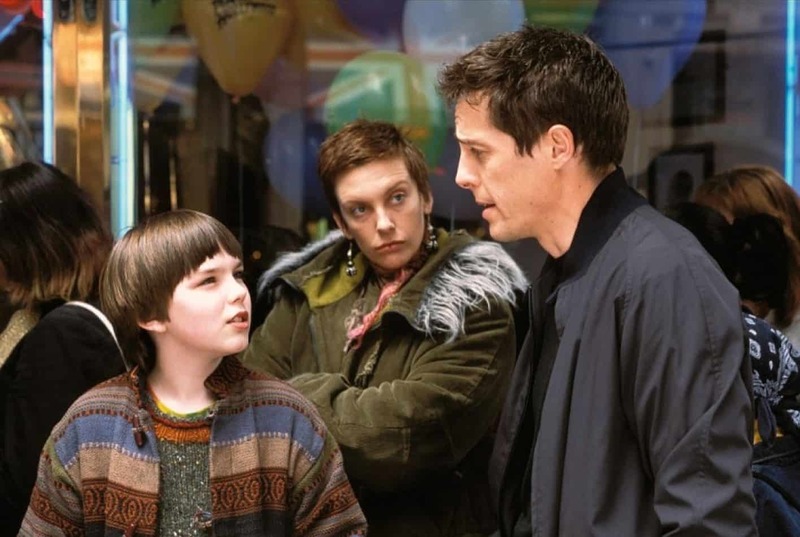 Hugh Grant’s at the peak of his rom-com powers in this one, but he’s almost bested by a scene-stealing Nicholas Hoult (the young Tolkien himself! ), the titular boy. It’s the epitome of a sweet movie that your mom says is “very cute.” Your SO will feel the same. Some old John Hughes movies have diminishing returns (Sixteen Candles has aged like leftover meatloaf), but put us down for Pretty In Pink as being the most enduring of his Molly Ringwald vehicles, even over The Breakfast Club. A Valentine’s Day movie that won’t make you pinch the bridge of your nose with regret for tired gender politics? What a concept! The first major show in what could be a surprisingly strong February for television, Russian Doll might be a little crass, but its story—about a woman who’s forced to live the same night over and over—takes some unexpected turns (Groundhog Day this is not) and star Natasha Lyonne should be in the conversation for next year’s Emmys. Don’t forget about this one. One of our favorite teen comedies of the past few years, Edge of Seventeen sees Hailee Steinfeld crank down her pop star charisma and turn up her huffy teenage angst to play a girl whose best friend commits the ultimate betrayal and starts dating her older brother. It’s not a romance movie, but look, it’s Jaws. Some couples are less “candlelit dinner” types and more “order in some wings, pile up the napkins and watch a giant shark fight Richard Dreyfuss” types. Jaws can be a Valentine’s Day movie. Okay, so this Valentine’s Day angle is really veering off track, we realize, but we’d be remiss not to include Steven Soderbergh’s latest iPhone experiment in this curation. High Flying Bird is closer to Moneyball than Remember the Titans on the spectrum of sports movies, but it’s stacked with talent and should be well worth your time even if you’re not into sports. For that nice, warm comforting feeling that only classic sitcoms can provide, look no further than One Day at a Time, which stands tall among other Netflix throwbacks like Fuller House and The Ranch. Our endorsement goes to One Day at a Time for its sincere feeling, its welcome diversity and its blend of wholesome family fun and honest messages. If the decline of Netflix’s Marvel shows have you starving for some serialized superhero fun, The Umbrella Academy should scratch that itch. The vibes here are more adult than something you’d see in a typical comic book movie, but these days, maybe a “burn it all down” approach is exactly what we need. Ah, back to the romance. Sure, your barrier for crude jokes has to be high, but for those who can tolerate the raunchy humor, 40-Year-Old Virgin is one of the high points of adult comedy over the past 15 years. This is the movie that made Steve Carell a star and legitimized Judd Apatow as one of the great comedy figures of this generation. And who could forget Carell’s chest waxing scene?